WRITTEN BY BRET KEPNER; PHOTO BY ROGER RICHARDS. Michigander Chris Holbrook and Watson Racing produced an astonishing “hat trick” during competition at the NHRA Gatornationals in Gainesville (FL). 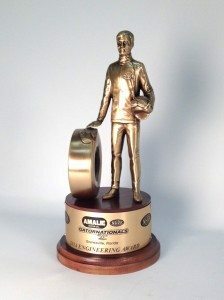 In the span of eight hours, Holbrook and his Watson Racing entries earned three records and three championships on the very first day of competition! 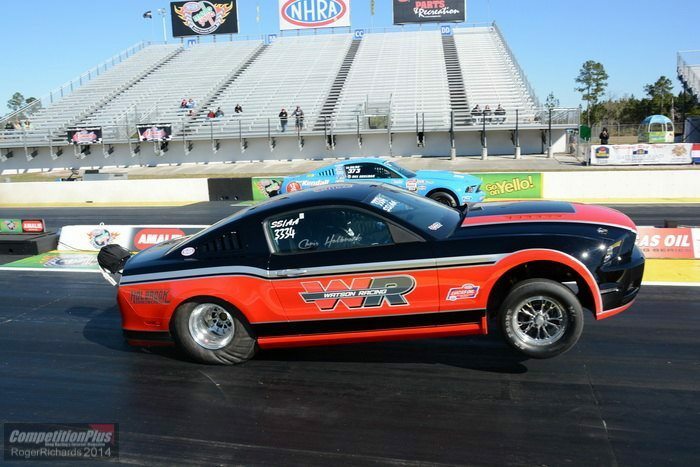 Holbrook opened the event by wheeling his 2014 Ford Mustang Cobra Jet to the quickest and fastest performances in NHRA Stock Eliminator history, (8.519 seconds, 161.13 miles per hour), en route to winning the Factory Stock/A class title. 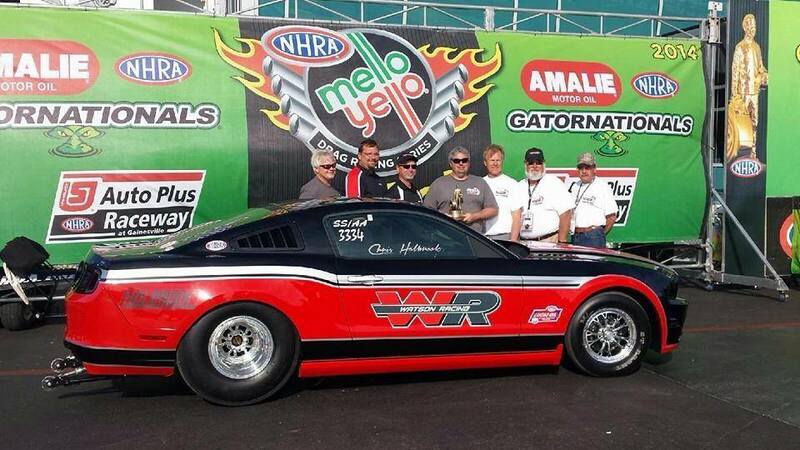 Holbrook followed by taking his new Watson Racing 2014 Coyote-powered black-on-red Mustang GT to the quickest elapsed times in the history of NHRA’s Super Stock Eliminator with back-to-back efforts of 7.902 and 7.900 seconds on his way to winning event honors in the SS/AA category. Then, Holbrook returned to his silver supercharged Mustang Cobra Jet in the NHRA’s Factory Stock Showdown competition. In the semi-finals, opponent Gary Richard went into a towering wheelstand and ended up in Holbrook’s lane necessitating a brilliant driving job by Holbrook to win the round. 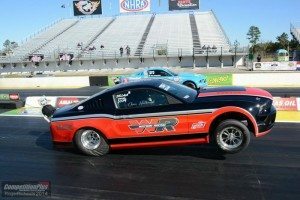 In the Factory Stock Showdown championship round, Holbrook repeated his 2013 NHRA U.S. Nationals victory by defeating David Barton’s Dodge Challenger. Chris Holbrook and Watson Racing scored the first-ever “Three-Wally Thursday”! 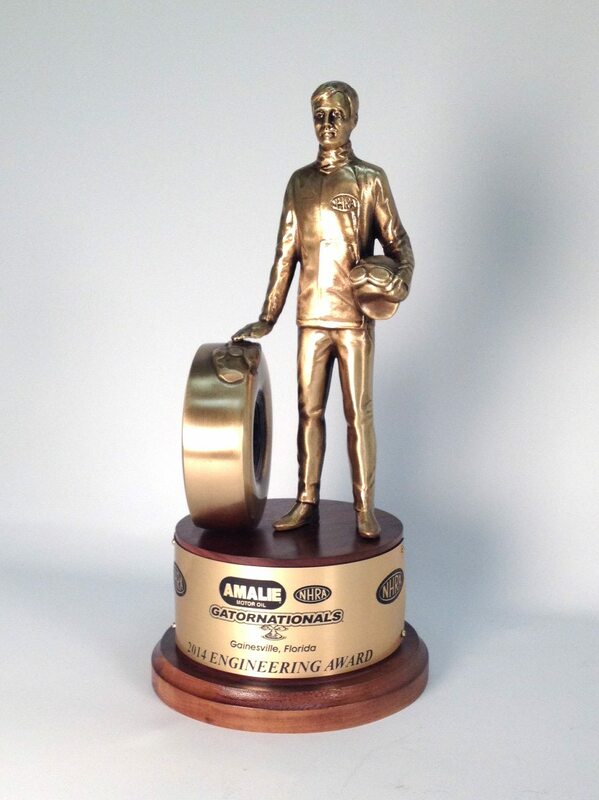 Watson Racing is excited to have opened the season out so strongly and to have received the 2014 Engineering Award. “This award means a lot to us, countless hours of planning and hard work went into the build of this car. We are very proud of it and we’re glad to see others appreciate it as well. Out of the thousands of cars that were represented in NHRA Gatornationals, it is truly an honor. I’d like to thank all those involved who helped make this happen.” said the Watson Racing Team.